Consumer Watchdog Proposes New Rules On Payday Lenders : The Two-Way Regulations proposed by the Consumer Financial Protection Bureau would require lenders to determine whether customers can repay within 30 days before issuing a loan. A woman enters an All American Check Cashing location in Brandon, Miss., in May. 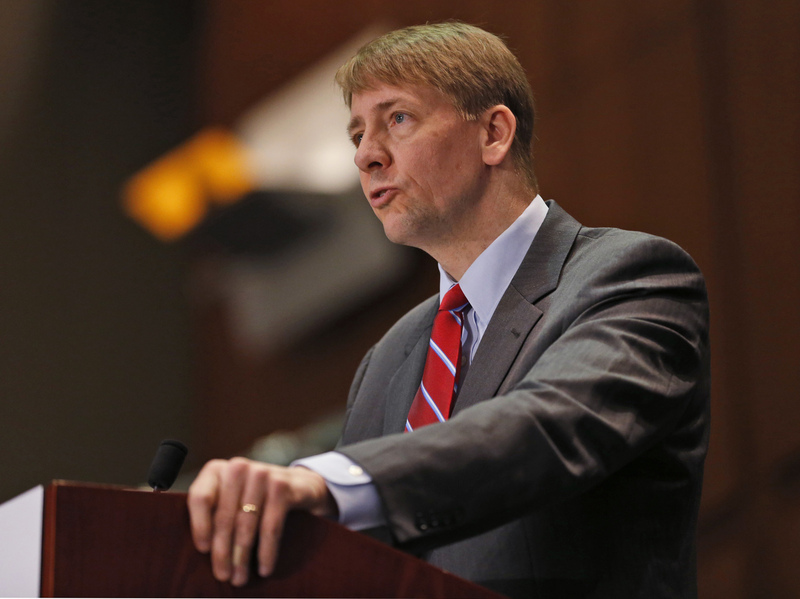 The Consumer Financial Protection Bureau has proposed new rules to crack down on such lenders. Many payday lenders could go out of business if rules made final this week by the Consumer Financial Protection Bureau go into effect. But the changes face stiff headwinds from Republicans in Congress. One new rule would require payday and auto title lenders to determine whether a borrower can afford to repay in full within 30 days. That could thwart a business model that consumer advocates say relies on the rollover of unpaid loans with the accumulation of exorbitant fees and interest rates of 300 percent or more. The proposed regulations also would limit the number of times a lender can debit a borrower's account without being reauthorized to do so. As The Associated Press writes, "This is because many payday loan borrowers end up over-drafting their bank accounts, which in turn incurs fees" or forces them to close their accounts. Consumer Financial Protection Bureau Director Richard Cordray speaks during a panel discussion in Richmond, Va., in 2015. "Too often, borrowers who need quick cash end up trapped in loans they can't afford," CFPB Director Richard Cordray said in a statement. "The rule's common-sense ability-to-repay protections prevent lenders from succeeding by setting up borrowers to fail." "Payday lenders offer short-term cash loans in exchange for a postdated check, usually dated for your next payday. The amount of the check includes the loan total and a finance charge. For example, you write a check for, say, $115 to receive a $100 loan. Given a two-week loan term, which is fairly standard, the $15 finance charge works out to an APR of nearly 400%, and this assumes you pay back the loan on time." But a 2014 study by the CFPB found that the vast majority of payday loans are not paid back on time: More than 80 percent are rolled over or followed by another loan within two weeks. The study found that 15 percent of new loans "are followed by a loan sequence at least 10 loans long." "Payday and car title lenders profit from repeatedly dragging hard-pressed people deeper and deeper into debt, and taking advantage of families when they are financially vulnerable," said Lisa Donner with Americans for Financial Reform. "Curbing the ability to push loans that borrowers clearly cannot repay is a key protection." However, the Financial Services Association of America, a trade group that represents the $39 billion industry, says the rule would devastate an industry that serves 30 million to 40 million customers a year. "Taking away their access to this line of credit means many more Americans will be left with no choice but to turn to the unregulated loan industry, overseas and elsewhere, while others will simply bounce checks and suffer under the burden of greater debt," says Ed D'Alessio, the group's executive director. 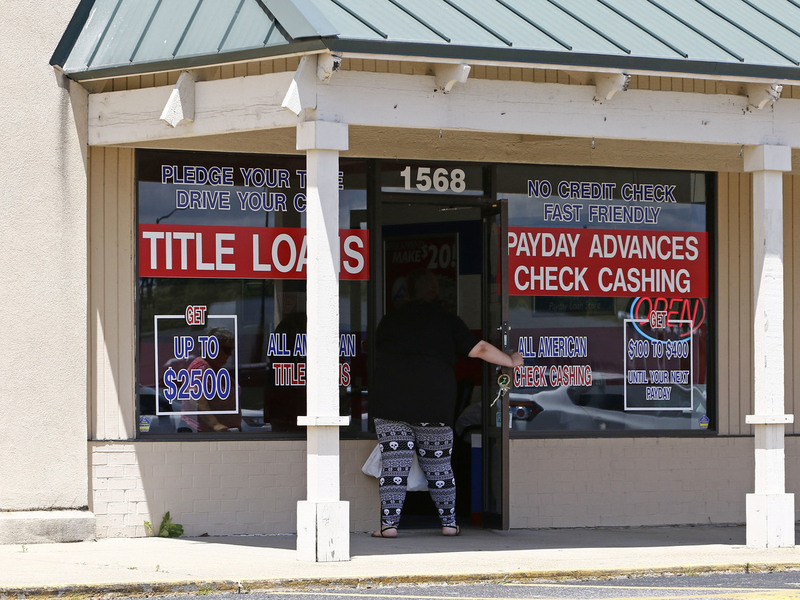 The CFPB estimates that loan volume for the industry could be cut in half and that many of the 16,000 payday lender stores in 35 states will be forced out of business. Fifteen states have effectively banned such lenders. Along with finalizing the proposed CFPB rule, the Office of the Comptroller of the Currency on Thursday lifted restrictions that kept banks from making small-dollar loans, Reuters reports. The payday rule would not go into effect until 2019 and still could be rolled back by Congress. The CFPB, created under the Obama-era Dodd-Frank Wall Street Reform and Consumer Protection Act, has been in the cross-hairs of the Trump administration and Republicans lawmakers who say it saddles businesses with excessive red tape. In February, Sen. Mike Rounds, R-S.D., introduced a bill to cut funding to the CFPB. In June, House Republicans voted overwhelmingly in favor of a bill pushed by Texas GOP Rep. Jeb Hensarling to weaken the bureau and roll back the Dodd-Frank act. According to an opinion poll published in April by the Pew Charitable Trusts, 70 percent of 1,205 American adults surveyed want more regulation of payday lenders.